Selling your West Knoxville home is no easy task. Setting a price, marketing your home, overseeing showings, and negotiating a contact are just a few of the tasks that come with selling your West Knoxville home. It can be helpful to use a Realtor to help make the task easier. Still unsure if you need a Realtor? Here are a few reasons why you should use a Realtor when you sell your West Knoxville home. One big reason to use a Realtor when you sell your West Knoxville home is to help you set a price. A price that is too high will make it difficult to sell your home, and a price that is too low will mean you walk away with less than money that you could have. Realtors are in the business of knowing the Knoxville real estate market. They can provide you will comparable homes that have sold in you area to help you set the right price for your home, so you get the best price possible. Another big thing a Realtor will assist you with when you sell your West Knoxville home is marketing your home. Your home is only eligible to be listed on the Knoxville Multiple Listing Service (MLS) when you use a Realtor. The MLS is one of the most common place where buyers and other agents go to look at West Knoxville homes for sale, which is why it is extremely helpful to have your home listed on the MLS. In addition, your Realtor will know the best ways to properly market your home to potential buyers. A West Knoxville Realtor will also be able to help schedule showings on your home. 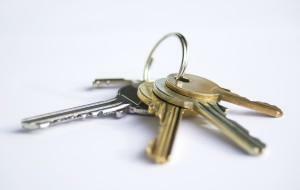 When your home is listed on the MLS, only other Realtors are able to show your home, which can help for safety reasons. All potential buyers will be escorted by another agent. Your agent will also be able to help pre-screen potential buyers. When your West Knoxville home for sale receives an offer, your Realtor will be able to help explain the contract for you. They will also be there to help you negotiate a contract that meets your needs and protects your interest. In addition, any problems that arise along the way, your Realtor will be there to help you negotiate and keep the sale together. Finally, a Realtor will be there along the way for assistance throughout the sale process. Selling your West Knoxville home is a big transaction, which is why it is important that you have someone there to protect your interest. Are you thinking about selling your West Knoxville this year? Please let us know if there is anyway that Knoxville Home Team can assist you. Rick can be reached at 865-696-9002 or via email at [email protected]. Kati can be reached at [email protected].